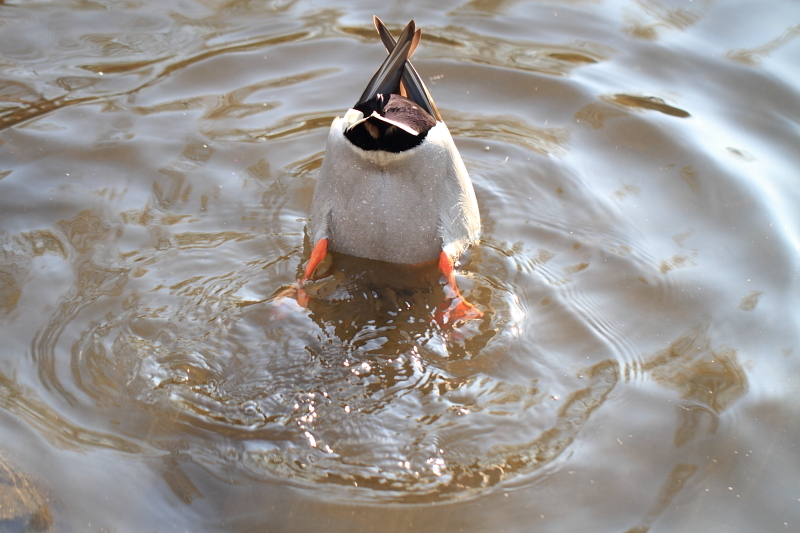 Now who ever could think of that as a duck’s way of morning salute, but you!? Excellent!!!! In such few words, you have written it so well that even if you hadn’t posted the picture, I would’ve imagined it right! Brilliant! Thanks Kavita! Having been raised on the literature of previous generations, I learned to rely on quantity of words rather than quality. But wordiness can be a poor choice, especially when used as a prop for a story or a scene. My latest teacher has become the (new for me) medium of haiku. Honing down the skill of using the right nouns and the right verbs in order to eliminate verbal clutter, is my current self-assigned teacher. Your feedback is gratefully received, as it suggests that the hours I spend deleting words have not been wasted. Thank you so much. Brilliant. (I am biased, I happen to love and admire ducks greatly)! up sometimes is down … and down is up … good to remember that.